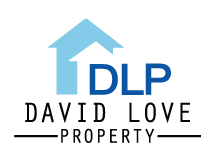 Apart from the normal plumbing services that we provide to our customers we are also concerned about unforeseen events that may come up. Emergency plumbing needs may rise at any moment. Floods and leaks often need to be attended to right away as they may not only irreparably damage your property but also your neighbor’s. We have an emergency plumber on standby for any such eventuality. We provide emergency services at an affordable and reasonable charge. Our emergency services run 24 hours a day and seven days a week. In other words, we have an emergency call out plumber for 24 hours in Edinburgh and Dalkeith, Midlothian. Our plumber on call responds to all emergency matters right away, the estimated wait time is less than what you expect; we know what an emergency means and all our plumbers on emergency alerts are swift to respond to it. 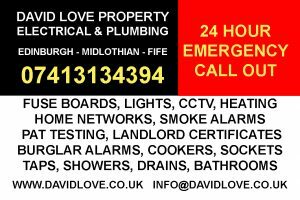 Should you have any plumbing emergencies at home within Edinburgh, Dalkeith and other areas in Midlothian we are only a phone call away. We specialize in all aspects of plumbing and pluming repairs, maintenance, etc. Burst pipe, broken shower or leaky bath – we are available to attend the job right away. We are a friendly, reliable, proficient and affordable plumbing contractor in Edinburgh and Dalkeith. The affordability of our services is not an excuse to compromise quality but a way of giving our customers a room for flexibility, reliability, and affordability. We are flexible, you can call us any time of the day and night and our plumbers are more than ready to respond to wherever area you are in Edinburgh, Dalkeith and Midlothian.